Summer is so much fun, but it’s also super important to keep kids excited about reading during those summer months! 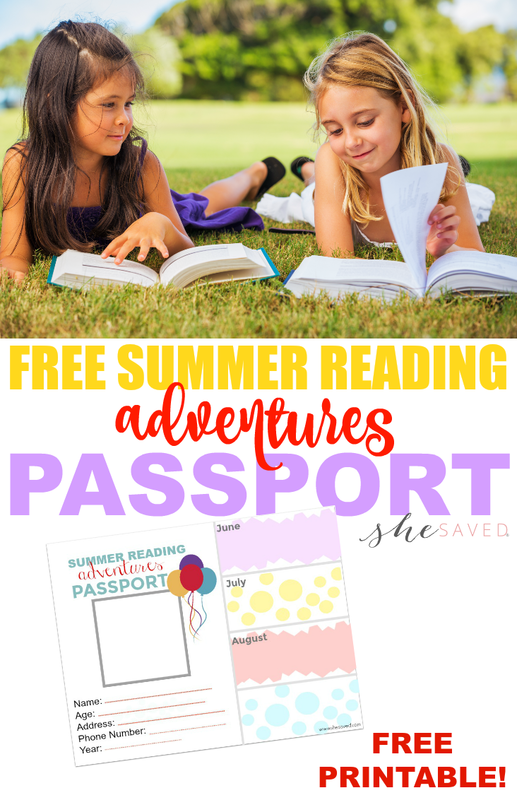 Make sure to print out this Free Summer Passport Printable to motivate kids to see summer reading as an adventure! 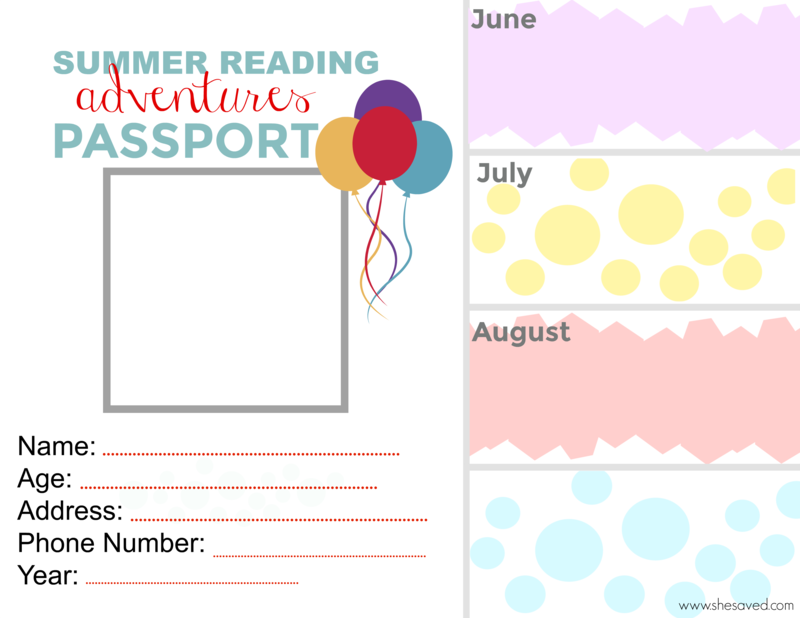 Go here to print your Free Summer Passport Printable. Have kids kick off summer by filling out this Summer Passport! A trip to the library might be a great way to start, and maybe even have your child write reading goals for each month. Get as creative with this as you like, the whole point is to make reading fun and keep it exciting! Each child can fill in their own information and even draw a photo of themselves on their summer passport. They can log books they read each month in the boxes on the right. 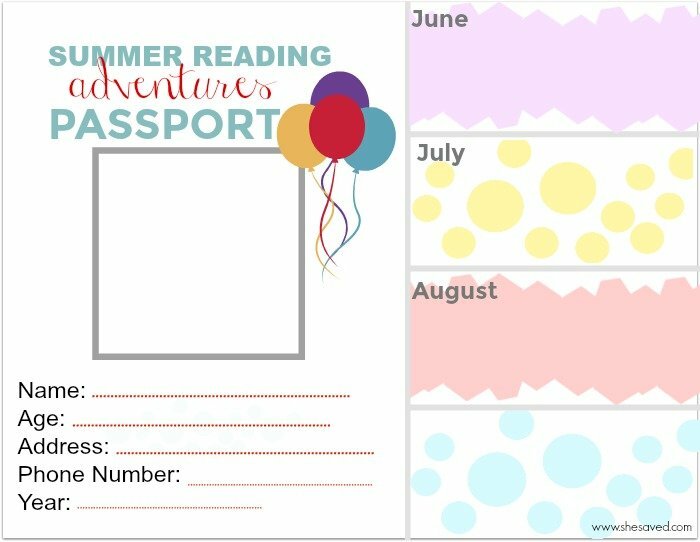 I left the bottom box blank in case you want to write a special incentive, reward … maybe even a favorite destination if your child completes their summer reading passport goals! Pair this project with my list of 2018 Free Summer Reading Programs for Kids along with my Report Card Rewards list for Good Grades in 2018. With all of these fun ways to encourage reading and learning, your summer should be off to an amazing start! And NOTHING beats getting lost in a good book during the summer time. Happy reading! How can i get a copy of your Summer Passport, Summer journal & Summer of fun kit? I would like a copy of your summer passport, etc., as well, please;) And thank you! Could I get a copy of it as well?! I would to have a copy for our summer camp here in New Mexico!